The importance of linebackers is somewhat unnoticeable until the unit becomes inefficient. 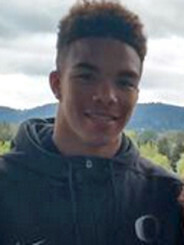 The 2015 recruiting class saw Oregon bring in three linebackers — one true freshman inside linebacker, Fotu Leiato (who may end up on the outside, or even at safety), and two junior college outside linebackers, Jonah Moi and Paris Bostick. Obviously, there will be a need for outside linebackers in two years when Moi and Bostick exhaust their eligibility. Hence the urgent need to sign some of those great 2016 linebacker prospects interested in Oregon. LaMar Winston is a top target for Oregon in 2016. My full-time job is in radiology. Early on I worked in diagnostic radiography taking x-rays at a local hospital. There I learned how some bone injuries appear more subtle than others on an x-ray film. The physicians that interpret these images — radiologists — see things more clearly given their years of training. They have the skill set necessary to discover the smallest and most difficult issues. In football recruiting, there is often a ”janitor’s fracture” when it comes to acquiring talent. Many schools practice this type of recruiting. Alabama is a great example of “janitor’s fracture” recruiting because they offer dozens of prep players that have 4 or 5-star rankings next to their names, and call that recruiting. Well duh! Anyone with internet access can tell you that those players are obviously the most skilled, and thus the most likely to succeed at the next level. 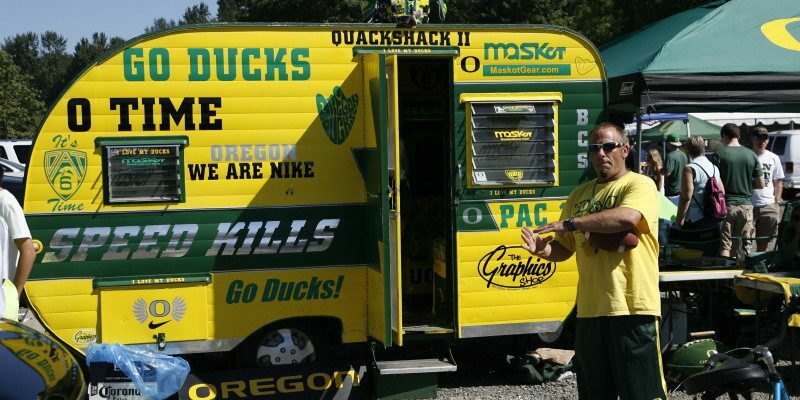 This is why I really respect Oregon’s recruiting practices. The Ducks do not use the same list of 4 and 5-star studs that the entire country is after. Rather, their practice is more precise. Like a radiologist looking for subtleties on an x-ray film, the Oregon coaches skillfully diagnose the potential of each player they evaluate. Sometimes those athletes are at or near the top of their particular position rankings; sometimes they are not. Canadian talent Chase Claypool would love to be a Duck. The shotgun approach to recruiting has worked well for Alabama the last several years. But despite the talent-rich roster it boasts, the Crimson Tide did not play for the national title last year. Oregon has never signed a top-5 recruiting class in a single season but has managed to play for two national titles in five years. I would still like Oregon to offer more scholarships — and offer them earlier — but the results speak for themselves. That being said, the play of the linebackers may have been the difference between playing for the national title and winning it last season. Ohio State’s running game killed the Ducks. The blame, of course, does not lie solely with the linebackers, as other units under-performed as well. Oregon is returning some great talent at linebacker and will be fine this season. However, the future at linebacker is crucial to Oregon’s sustained success. The three linebackers brought in for 2015 is a stopgap for a season or two. The class of 2016 needs to be the class that creates the foundation of the best linebacker corps ever seen in Eugene. The Ducks have offered about ten scholarships to outside linebackers alone. Many of these linebackers are highly touted and have some interest in what Oregon has to offer, unlike most of the inside linebackers the Ducks have offered. Two of these linebackers have verbally committed to other schools, but with of the remaining eight, five of them have high interest in Oregon. The most recent are Chase Claypool and Darrien Franklin, who after their unofficial visits put the Ducks near the top. Franklin’s highlight film shows some great work preventing big plays. That’s what Oregon needs. Claypool is listed as a wide receiver, but at 6’5, the Ducks like him at linebacker. Given his size and movement skills, the potential is very evident. Two other linebackers that stop plays with their quick pursuit and ability to shed blocks are 4-stars Michael Divinity out of Louisiana and Jeffrey McCulloch of Houston, Texas. Their aggressive play makes them great prospects, but neither seems interested in going far from home. 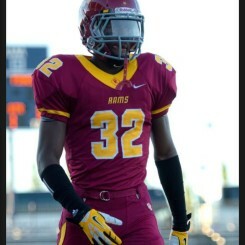 Local talent LaMar Winston shows a lot of athleticism and explosion on tape. A wide receiver on offense, Winston can fall back into coverage with ease. Two more highly-touted linebackers are California preps Bryce Youngquist and Caleb Kelly. Youngquist does not have very much highlight film but what he does have puts him right up there with best. Kelly, meanwhile, has great diagnosing instincts and closes hard, punishing would-be blockers to power through to the ball carrier. Hopefully his 100-percent Crystal Ball prediction to Oklahoma on 247sports.com can change as we head toward the fall. Caleb Kelly is a highly-ranked talent Oregon would love to add in 2016. If Oregon could lasso commitments from Claypool, Franklin, Kelly, Winston and Youngquist, it would be an incredible haul. While unlikely, it remains at least theoretically possible at this stage. Whatever happens with the 2016 linebacker class, remember that the prospects whom Oregon has offered have all been well-vetted. Oregon does not have a janitor sitting in the staff room looking at stars next to names. The Ducks’ staff skillfully evaluates its needs and makes educated decisions before offering scholarships. 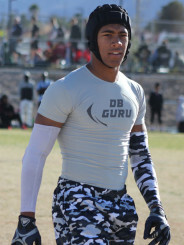 Thanks again to Duck Territory at 247sports.com for all the up-to-date recruiting information they generously share with us at FishDuck.com.